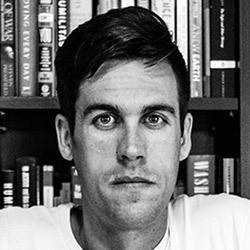 Ryan Holiday is an American bestselling author, marketer and entrepreneur. He has written extensively on the topic of marketing, culture, media manipulation, stoicism and human condition, and his work has been translated into thirty languages..
He’s the author of Trust Me, I’m Lying (2012), Growth Hacker Marketing, The Obstacle is the Way, Ego is the Enemy, The Daily Stoic, Perennial Seller, and Conspiracy (2018). Holiday began his professional career after dropping out of college at 19. He worked for author Tucker Max and orchestrated a series of controversial media stunts for his movie launch. Later, he worked with Robert Greene, author of The 48 Laws of Power, on Greene’s book The 50th Law. Holiday’s the founder of Brass Check, a creative advisory firm that specializes in working with authors, artists, media companies and startups. Their partners have directly advised, promoted or produced content for a diverse group of clients ranging from Google to Tony Robbins, Complex, James Altucher, Tim Ferriss, as well as essentially every major publishing house – including Amazon. Besides the articles he’s been publishing on his own blog since 2007, he’s a media columnist and editor-at-large for the New York Observer, but has also written for Forbes, Fast Company, The Huffington Post, Thought Catalog, Entrepreneur, 99U, Boing Boing, and multiple other outlets. Most people follow Ryan’s work through his mailing list – more than 80,000 people are subscribed to his newsletter. Readers include entrepreneurs, NFL coaches, Big Five book editors, authors, students, book store owners, executives, and everyone in between.